Now, there is no more worry about the location and searching manually all the individual machine of a network. 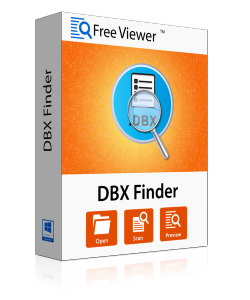 DBX Finder simplifies this process that can help a user to do searching from your machine or network. Once you locate all the emails of the network, you can view all those emails with all its associative attributes easily. There is no issue related to the location of the files. DBX File Finder can also search the hidden file easily. The premium version of DBX Finder tool allows a user to save all the located DBX files in the folder as per preferred. In this way, you can manage all those email files on your system. After transferring emails, the DBX File Viewer generate a CSV report with its file location with all properties associated. This CSV report can be used for future reference purpose. The DBX File Finder comes with a host of features to help you get back all the DBX files. So, whether you are an IT administrator who wants to get all DBX files quickly or just the normal user who wants to get the DBX files hosted on multiple machines. Narrow down your search result with the advanced search filter and get all your DBX emails quickly and efficiently. Easily get back the .dbx data to your local machine. Get the whole working in CSV format which you can use for reporting or for future reference purpose. Get all the .dbx files in a systematic way with a list based on the attributes (name, subject, received, size etc.). Now, when you don't know the DBX file location, there is no need to manually look or wait for hours. You can use DBX Finder to automate the whole process which can help a user to save tons of time. With the help of searching function, you can easily narrow down your result. Get all your network attached DBX files within fraction of the time. The DBX Finder is full-featured software that comes with a host of different features to make the whole process a seamless task. Get all or make the selection of DBX files that you want to download from where it is hosted on your local machine. Work on Windows XP and across all Windows OS including Windows 10, 8. Does not need Outlook Express to be installed on the machine. Great way to find and discover the DBX file location. Demo version of DBX File Finder can find & show the preview of DBX files. Explain the working of DBX Finder Tool? Step 1: Install & run DBX File Finder application. Step 2: List of all the machines will appear on the left side. Choose one machine and enter credentials. Step 3: Select Search option i.e. All Drives or Specific Drive and then, click on Ok button. Step 4: The software will show all the files from that machine. Select Copy option to save the DBX files on the system. At the time of the searching process, is it required to have Outlook Express installed on the client machine? No, there is no need whatsoever. The primary purpose of the software is to help a user in finding DBX files that are spread network-wide. Therefore as long as the file exists on the machine, you can find and get the files. What are the supportable OS? The DBX Finder works on all the major Windows OS and even if you have (or don't have) Windows XP, you will be able to get back all your files without any issues easily. "The DBX Finder is exceptionally a great software especially if you are looking for a software that gives you the ability to scan and find all the domain-wide DBX files from one location." "Easy interface and very responsive software. DBX File Finder searches DBX files in the network without many efforts. The software now becomes part of my core software needs for email management." "The DBX Reader provides an option to search DBX emails from all the drives or specific drives. It provides flexibility to search any drive anytime." 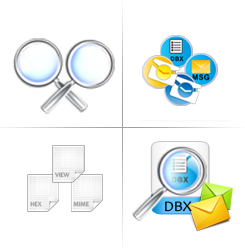 "The interface of DBX Finder tool is very easy and user-friendly. This utility is very helpful for users like me who don't have much technical knowledge."